Her reaction is VERY relatable. It takes many years of hard work and dedication to achieve the level of skill and athleticism of an Olympic champion - but it only takes a second or two to be unseated (in a way) by a bee. 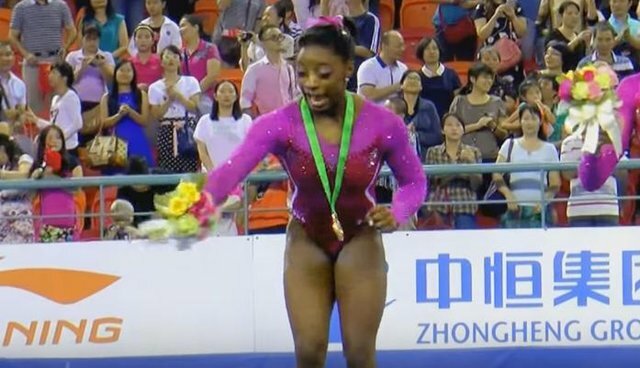 Some endearing old footage has been making the rounds in recent days showing newly-minted four-time gold-medal winner Simone Biles having a memorable encounter with one such stinging insect. 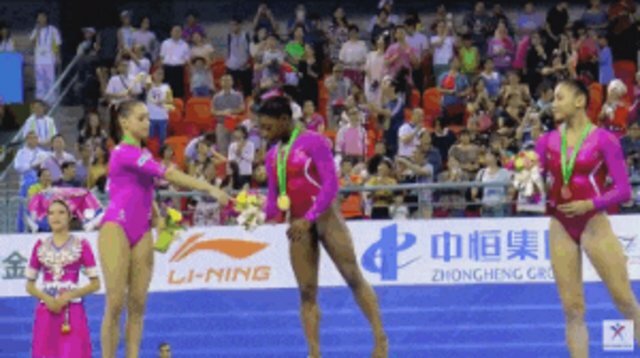 While standing on the winners podium at the World Gymnastics Championships in 2014, as cameras rolled, Biles was suddenly confronted by a bee who'd evidently been hiding in her bouquet. The pesky little pollinator meant no harm, to be sure, but did end up stealing the spotlight from Biles - at least for a moment. It's easy to see why this clip has been gaining traction online. For those of us who routinely lose our cool at the sight of a bee, it's nice to know we might share at least one thing in common with someone as talented and poised as this Olympic champion.